First up, I chose my colours. In this case I went for ChinaGlaze Lotus Begin and I’m Not Lion for my main colours. I used OPI Black Onyx and Alpine Snow for the black and white parts. I painted my accent nail two coates of white, if you have a really nice opaque white you can get away with one coat as well. Also, it doesn’t matter too much if there are tiny streaks in the white base, as you can cover up any flaws with the leopard print! I then made some random blobs with ChinaGlaze I’m Not Lion and a dotting tool. They can be a bit squiggly, you don’t have to make any perfect round dots here. Of course you can use anything similar to a dotting tool, like the end of a bobby pin for example. Next I took my dotting tool and black polish and drew some squiggly lines around the gold blobs. Some say they do C-shapes, but I tend to do three lines around each dot, I just like the way it looks! Then I fill in any blank spaces between the leopard prints with more black squiggles to even the pattern out. Voila! I put on CG I’m not Lion on my ring finger and painted all the other nails with Lotus Begin. 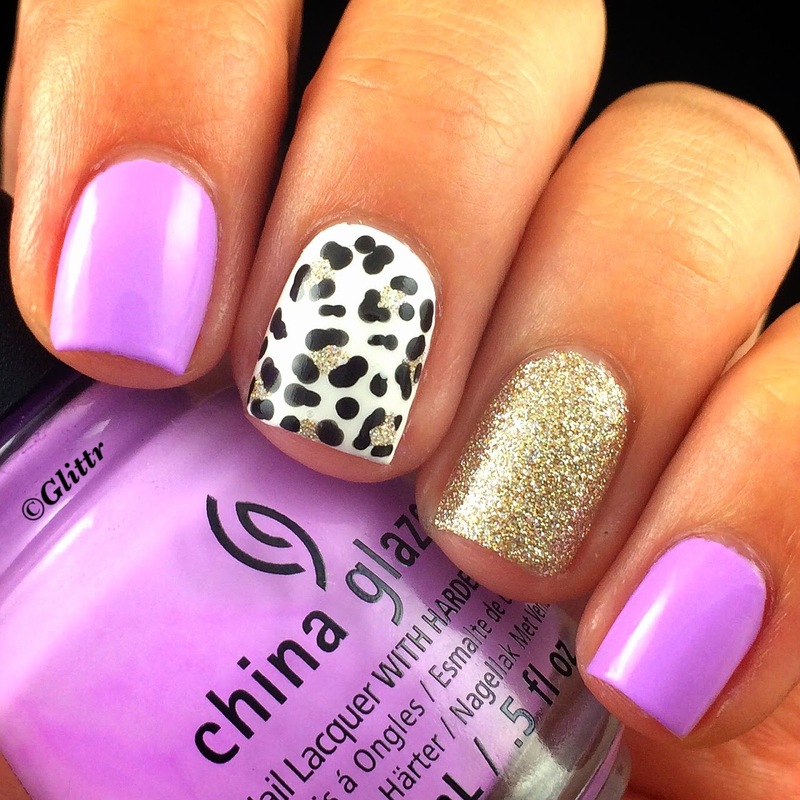 I really like this very simple look with two pretty accent nails that catch the eye. 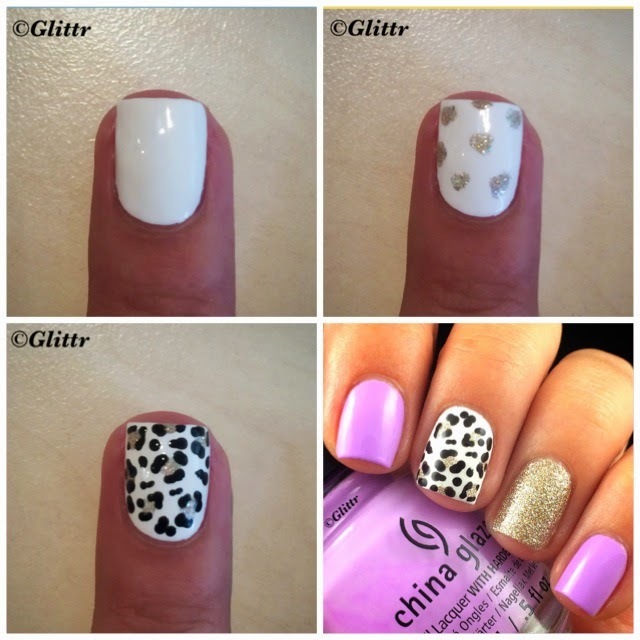 Check out my blog on LiveLoveGlittr.blogspot.de for more mani ideas, reviews and other nail nonsense!